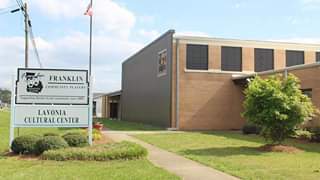 The Franklin Community Players announce sign-ups for the new area talent competition, Northeast Georgia’s Got Talent, will begin Dec. 27 at 10 a.m. The talent show will have three categories, including voice, dance and variety. Incoming President Amy L. Burns talks about a few of the details. “We are super-excited about our first Northeast Georgia’s Got Talent” talent show. This is open for all ages. We’ve got three categories. We have dance, variety and singing. Singing will be broken down into two sections- 12 and under and 13 and up. For all categories it can be single, group, duet, however you want to do it. There is a $10 entry fee. We’ll have one in January and one in February. We’ll take the top two winners from each of those categories and they will compete in March for the grand prize, which will be $200,” said Burns. 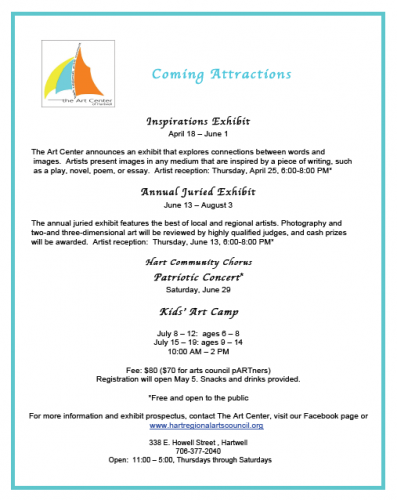 The competition will take place at the Lavonia Cultural Center. The first contest is Saturday, Jan. 19 at 7 p.m. and the second show is Saturday, Feb. 23 at 7 p.m. The finals will be held on Saturday, March 16 at 7 p.m.
Finalists are encouraged to prepare a different number for the March 16 show. Limited slots are available for entries. People interested in participating can register by telephone at 706-491-9374 from 10 a.m. to 4 p.m. starting Thursday, Dec. 27. All entertainment must be family-friendly. Contestants will be limited to a four-minute performance and two-minute transition between acts. Limited microphones are available for the Cultural Center’s sound system. The performer must provide any desired accompaniment on a USB flash drive no later than one week prior to the show. A dress rehearsal is scheduled the evening prior to each of the three shows at 6 p.m. at the Lavonia Cultural Center. Tickets for the shows are $7 and go on sale on Wednesday, Jan. 2 by calling 706-491-9374.